I looked at Harper the other day as she was sitting on the rug, babbling at her bellybutton book and it hit me: She is becoming her own little person. Until a few months ago, I knew all there was to know about her. My body met her nutritional needs, I knew when she needed a meal, a nap, a cuddle, and a dry diaper. But suddenly she is becoming this adorable little girl whose tastes, preferences and personality is beginning to emerge. Every day I am discovering more and more of who she is but this I know for sure–she is a round mound of pure joy. 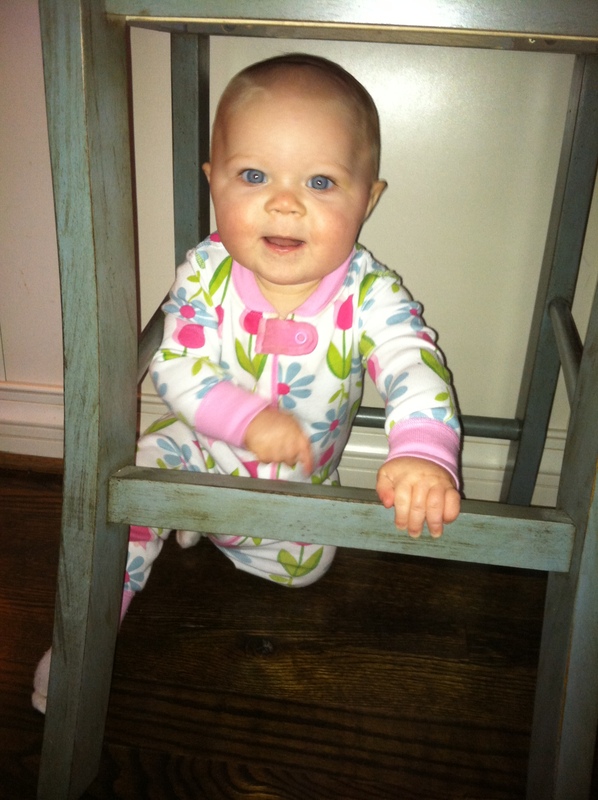 Here are a few tidbits about That Baby these days that I wanted to document. Nine Month Milestones: she had her first taste of ice cream, she got her first black eye, she clapped, she waved (at herself, but I think it still counts), she now gives heart-melting slobbery kisses when asked. Harper Likes: ceiling fans, red heads, Pat the Bunny, bananas, cornbread, mirrors (just like her daddy), putting leaves in her mouth, baths, watching the washing machine, cereal (just like her mama), when My Man plays guitar, appliances, other babies, electrical sockets, and her teddy bear. 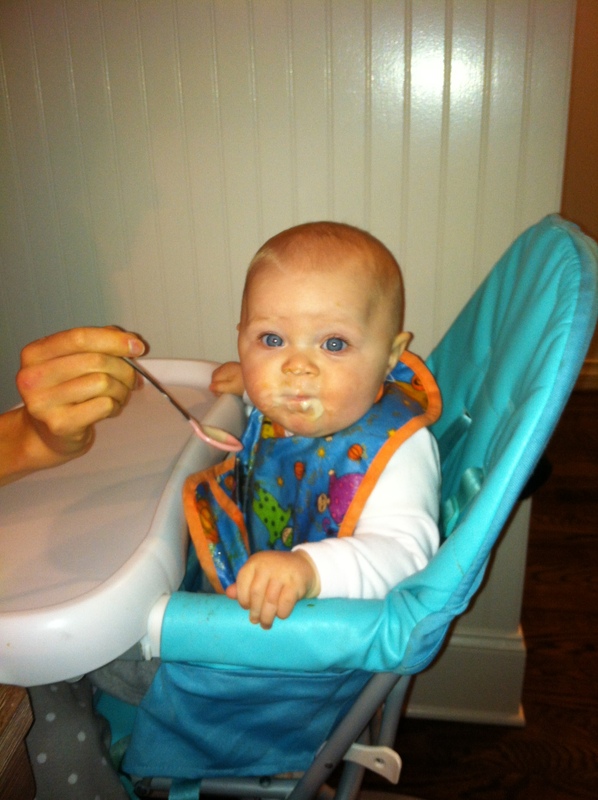 Harper Dislikes: Carrots. Having her nose wiped. I Like: when Harper laughs, reading to her, naps, Infant Tylenol. (The motto around here is “when in doubt, medicate.” You can pre-order my parenting book on Amazon.) The Nosefrida The Snotsucker Nasal Aspirator -Those Swedes invented the very best device to clear up infantile congestion. It works and it is more addictive than blue corn tortilla chips and the first season of Homeland. I Dislike: Harper’s not-so-charming habit of blowing spit raspberries all the time: when she is playing, when she is eating, and when there is food in her mouth. Hoping this is just a phase she’ll outgrow. by tomorrow. 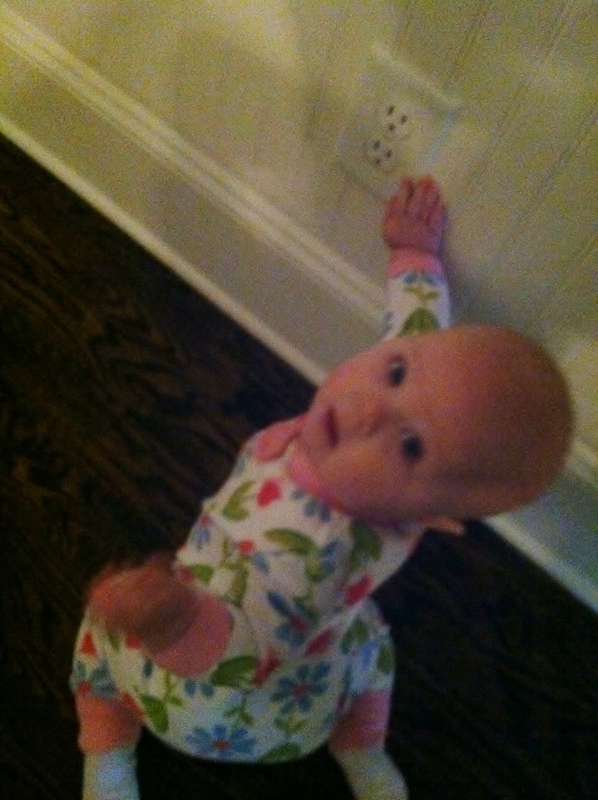 What Harper is Up To: She is crawling now and has been for the past few months. 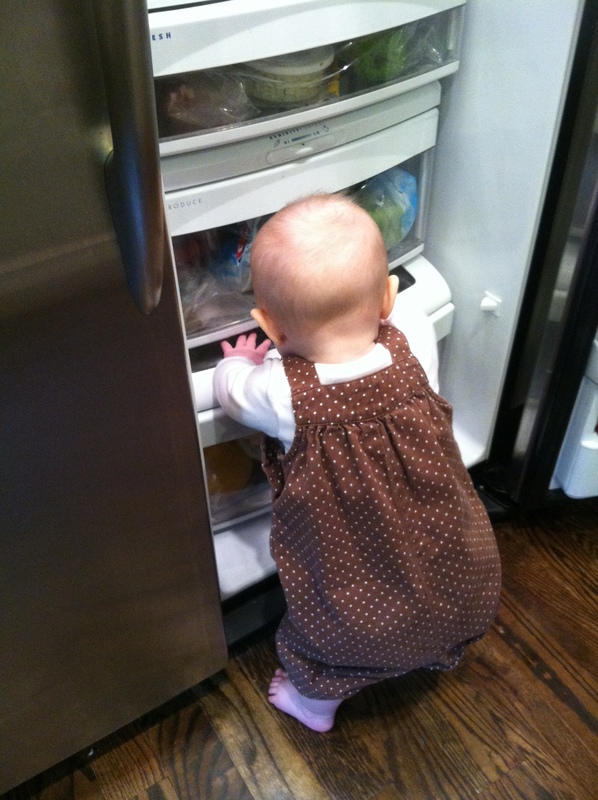 That Baby is curious and loves to explore new places. She is great at playing by herself and can happily lose herself in her books and blocks and kitchen utensils. Harper hasn’t met a stranger and doesn’t have separation anxiety when I hand her over to other people. (I try not to take it personally.) She can stand independently for a grand total of seven seconds and I am in no rush for her to start walking. Chasing a crawler to prevent her from putting her fingers in electrical outlets and stop her from putting fireplace ashes in her mouth keeps us plenty busy. The first nine months have flown by. And I definitely have moments where I want her to not grow up so fast, to just stay this portable and joyful and adorable forever. I see why people have more than one. And how convincing is My Man’s bear impression..?! OMG that video is amazing. Love her!